Honda has denied 2014 will be Dani Pedrosa’s farewell season as a factory HRC rider after rookie teammate Marc Marquez wrapped up a historic MotoGP world title last season. Last year was Pedrosa’s eighth in the Repsol Honda squad and with Casey Stoner retiring at the end of 2012, HRC expected the Spaniard to end his long pursuit of an elusive first premier class crown. But a mid-season left shoulder injury when he was leading the championship at the Sachsenring in Germany was the beginning of the end of Pedrosa’s challenge. He will be out of contract at the end of 2014 and some expect HRC to be preparing for his release unless he delivers a series of sensational performances in the early part of this season. Honda are expected to renew interest in Yamaha number one Jorge Lorenzo, with the Spaniard one of several big name free agents for 2015. HRC boss Livio Suppo though believes Pedrosa’s future is not in serious doubt, despite the 28-year-old being overshadowed by Marquez’s inspired first campaign. 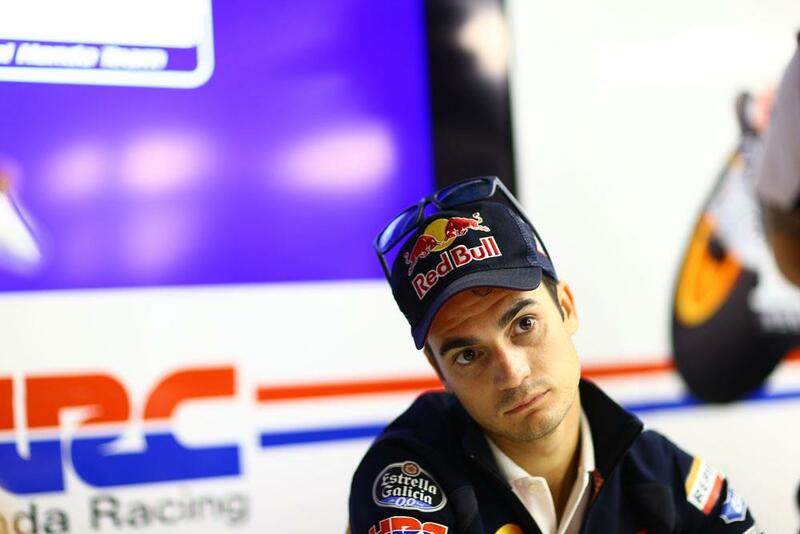 Dani Pedrosa to sign new Honda deal by Mugello? Rookie rule set to be axed in MotoGP?